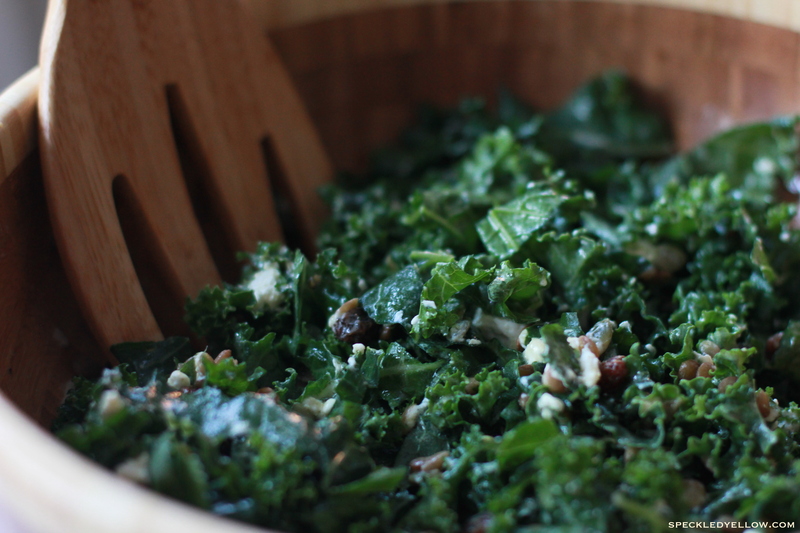 Each bite of this Kale Salad is a crunchy, zesty delight in my mouth! 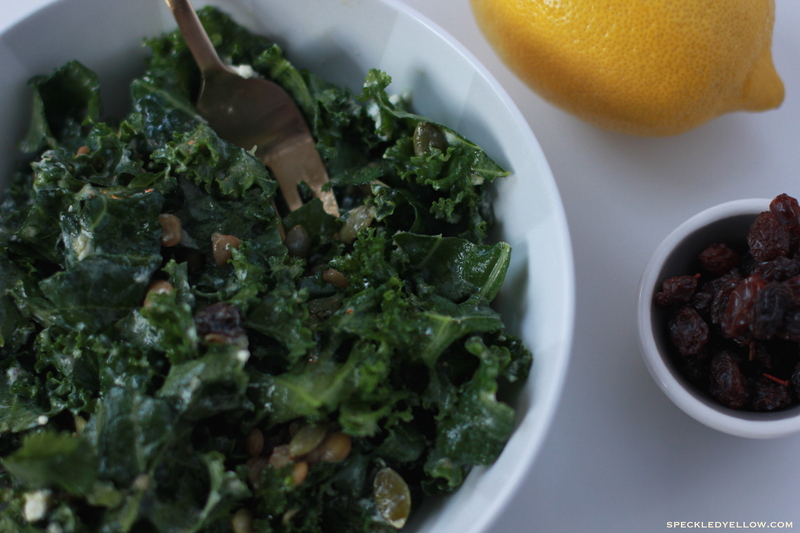 I never thought kale salad could really be this good but trust me, it literally is. I think it also has a lot to do with the dressing. Something about making your own dressing always takes that salad up a few notches and I love anything with mustard! This healthy satisfying dinner was just right for something green to celebrate St. Patrick’s Day! 2. In a large bowl combine the kale, pumpkin seeds, raisins, cilantro, goat cheese, and lentils. Mix is all up. 3. For the dressing mix everything together and make sure to use a garlic press or finely chop the garlic. 4. Pour the dressing over the salad and YUM!